Wisconsin’s wide range of top-notch shopping spots will have you driving home with a car full of the perfect holiday gifts (and not a completely empty wallet!). 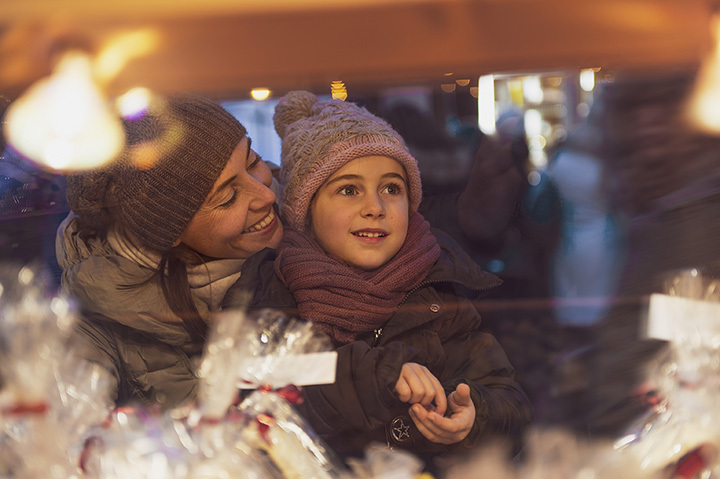 With outlets featuring your favorite brands at reasonable prices, and smaller shopping districts for the more unique treats, Wisconsin will help you find everything you need this holiday season. Here are our 15 favorites. The Wisconsin Dells has so much to offer. Besides being the Waterpark Capitol of the World, they have great shopping—the Outlets at the Dells especially. Great prices on top of some of the most sought-after brands around. From favorites like American Eagle and Banana Republic to classics like Coach and J. Crew, you’ll find it all here. The Mayfair Mall is an enclosed mall located in Wauwatosa, Wisconsin. Check out their department stores, food court, and movie theater. Get all your holiday shopping and gift wrapping done in one place! Whether you’re looking for an edgy gift at stores like Hot Topic or the newest Apple gadgets, the Mayfair Mall is here to help you out. Find both exceptional shopping and dining at Hilldale Shopping Center. Indulge in name brands, find great deals or pick up a dining gift card. Eat, drink, shop, and be merry at Hilldale in Madison. Bay Park Square is Green Bay’s chosen holiday shopping centers. Grab a few holiday deals during their extended hours, take a picture with Santa, and get your gift-wrapping done in one place. Plus, their website contains different deals and coupons for shoppers. Greenway Station is another great dining and shopping experience in the Middleton area very much like Hilldale Shopping Center. Shoppers can find unique stores and their beloved department stores, as well as grab a bite to eat in true Wisconsin fashion. You can find the Bayshore Town Center in Glendale, a city within Milwaukee County. Upgrade phones, purchase spa services, check out their bowling alley and movie theater. Bayshore is the perfect place to take a stroll while shopping. Grab name brand products and gifts for great outlet store prices at the Johnson Creek Outlet Mall. Located conveniently between Madison and Milwaukee, it’s an easy drive for a great shopping experience. Browse home goods, jewelry, children, business attire, and athletic stores. The stores in down town Wisconsin Dells have so much to offer. Shop unique small businesses, beloved antique stores, tourist gift shops, and much more. Their down town is filled with great food options as well. The Historic Third Ward is one of Milwaukee’s treasures. Local stores fill the Milwaukee St. shopping area making it the perfect place to find great gifts. Shopping local is a great way to support the community and ensure that your gifts will be originally perfect for your giftee. Downtown Delafield is a quaint area to do some holiday shopping. While not everything is within walking distance, it is however within a short drive of each other. If you aren’t looking to make a trip to the Milwaukee area, Delafield is a great alternative to the hustle and bustle during the holiday season. Escape the chilly temperatures by shopping inside the Fox Valley’s favored mall. The Fox River has all the essential stores and more for you to find the perfect holiday gifts for everyone in the family, including that tough company exchange gift you need to bring. The Pleasant Prairie Premium Outlet Mall is another great outlet shopping experience. Unbeatable prices for great name brand material can be 25-65 percent off. Check out southern Wisconsin’s favorite outlet mall. Explore cute boutique shops only found in Cedarburg, Wisconsin. Visit 70 different shops including dessert, wine, antique, art, beauty, clothing, furniture, gifts, jewelry, household, toys, technology, and resale items. The Outlet Shoppes at Oshkosh are a great group of stores if you want to get a little shopping done in the area. From jewelry to athletic clothes and everything in between, there are plenty of reliable stores for you to get a little holiday shopping done. Downtown Minocqua has a charming main shopping street. Check out their Gaslight Square, fudge shop, tourist stores, pubs, and clothing shops. Minocqua has beautiful gifts to remind your family of treasured times together in the Northwood’s of Wisconsin.